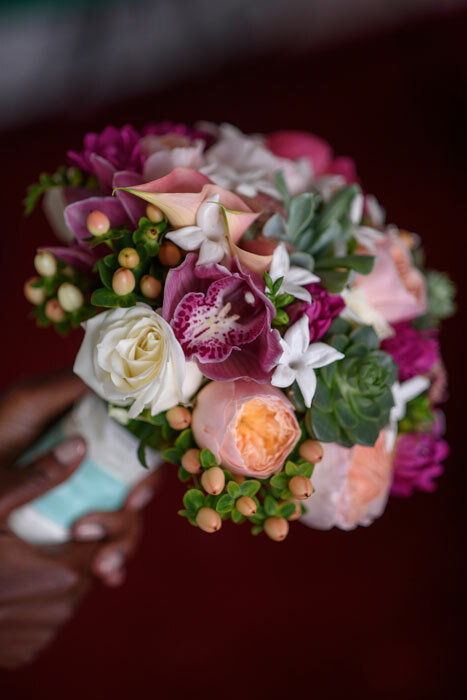 When it comes to thinking about your wedding flowers, one of the first elements you’re asked about is what your dress is like, and what flowers you’d like to carry. It’s worth getting your dress before looking at flowers, as the outfit you go for may dictate a particular style for your flowers. There are more than a few options besides the ever-popular hand tie for the bride, so I thought I’d jot a few down here. Hand tied bouquet, also referred to as a posy or round bouquet. There’s a reason these are such a popular choice with brides – they are simple, elegant and easy to carry. 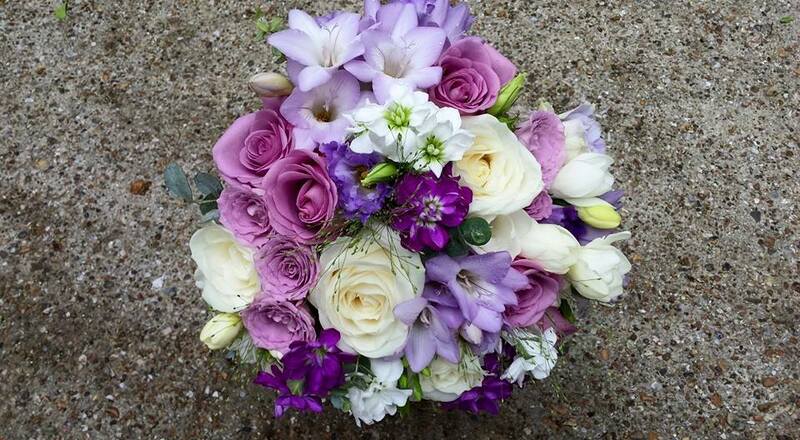 With your choice of flowers, this style of bouquet can suit various wedding themes. For a modern, tidy look, go for compact stems, either all one variety of flower, like roses, or a mix to add texture. Perfect to sit against almost any style of wedding gown. At the other end of the scale, a hand tie can be loose and country style, perfect for a more relaxed day. With a selection of soft foliage and either big blousy blooms like English roses, or delicate meadow type flowers, such as Nigella, Astillbe and Daisies. Perfect to carry against a vintage or lacy dress. And why not follow the current trend of a floral headdress to match? Pageant, or over arm sheath. 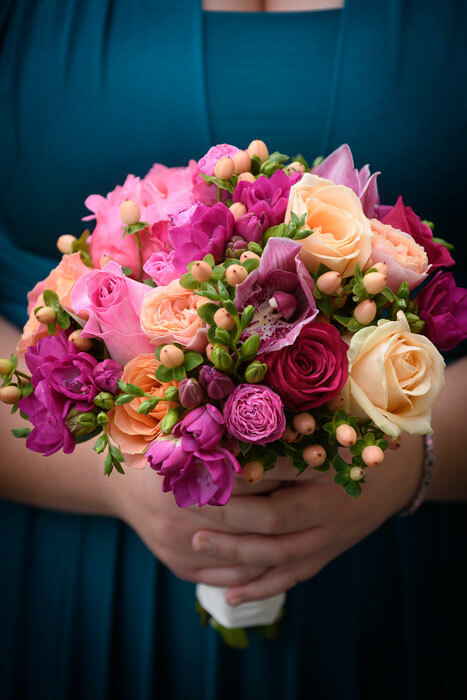 This style of bouquet utilises long stemmed flowers, tied and cradled in the arm. Again, it can be very modern, using bold, choice flowers such as Calla lilies and Phalaenophsis orchids, or very ‘boho’ with masses of trailing foliage and sparse flowers. 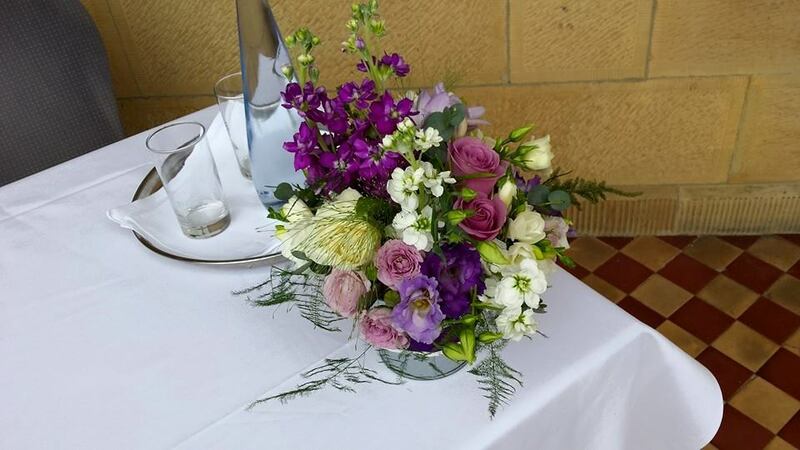 Gladioli, Delphinium and Campanella suit this style well. They look great against a silky, fitted dress. Shower bouquet, also know as a cascade bouquet or teardrop bouquet. A classic, traditional choice. They fell out of popularity with the rise of the handtie, but are now enjoying a revival – and rightly so. They are beautiful arrangements, drawing the eye down your dress, so are perfect to compliment an a-line skirt or ball gown. They can be small and delicate, like Kate Middleton carried, or large and fuller, like Princess Diana’s. If you’d like to carry one of these while wearing a mermaid or sheath dress, you can go for a more modern, minimalist drop-bouquet. This way, you’re silhouette won’t be too hidden behind your flowers. Crescent bouquets are similar to shower bouquets, but the flowers are placed in a crescent shape – ideal if you have detail at the front or down one side of your dress that you’d rather not hide away. Pomander. These are a essentially a compact ball of flowers, hanging from a ribbon loop handle. A fun choice for flower girls who like swinging them down the aisle, but they’re also gaining popularity with brides. They go wonderfully well with a knee-length, flared skirt dress. Composite bouquet, or glamelia, is essentially one large flower made up of lots of petals, often from a rose. They are a particularly skilled piece, with each petal being painstakingly attached by hand. It’s a shame they’re not that popular in the UK because they are gorgeous! They’d suit a modern themed wedding, against a fitted classy dress. 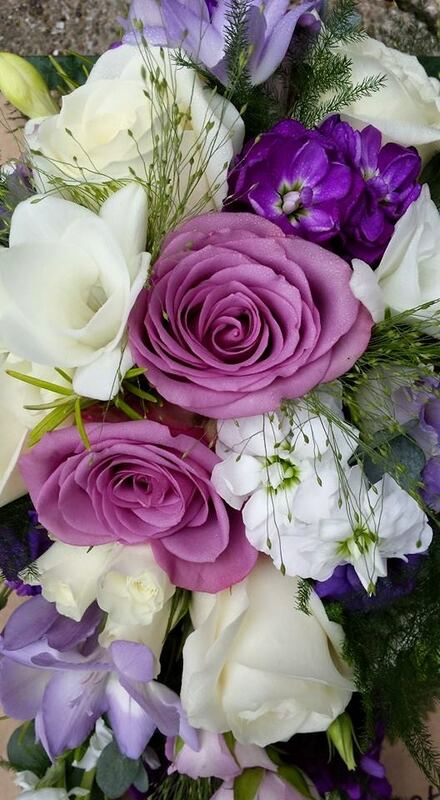 Free form bouquets are similar to a handtie, but follow a random shape. They suit a very relaxed laid back event, for the bride going for a ‘gathered from the garden’ look. I hope this helps you choose which direction to go in with your flowers. Don’t forget to ask your florist’s opinion too! They are, after all, the professionals, and have a wealth of information and experience to dip in to. Most of all, enjoy this fun part of the planning! It’s a well know fact that an all white wedding looks classy. It oozes classic style and simple beauty. The flowers of a white themed day can be strikingly modern and elegant – a compact handtie of all white roses and peonies, a waterfall bouquet of phalaenopsis orchids. The simple buttonholes, taking a focal flower from the bride’s bouquets, look clean and fresh, letting the flowers be the main event. 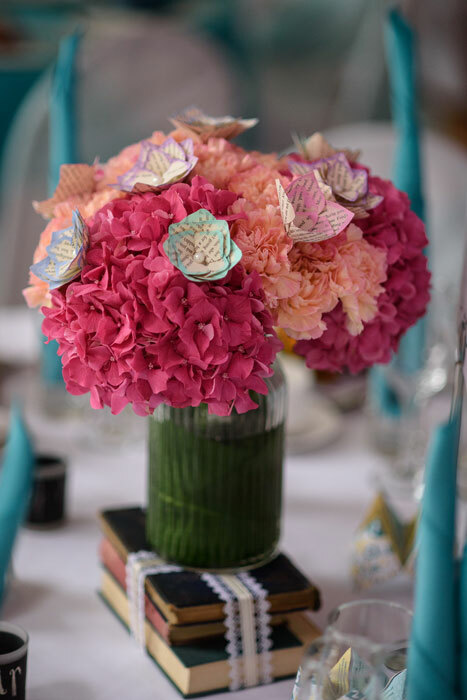 If you’re going for such a distinctive theme, it’s important to carry it through all of your special day, including your dreamy, romantic table decorations. All white is beautiful, but there are a few things to watch with an all white theme. 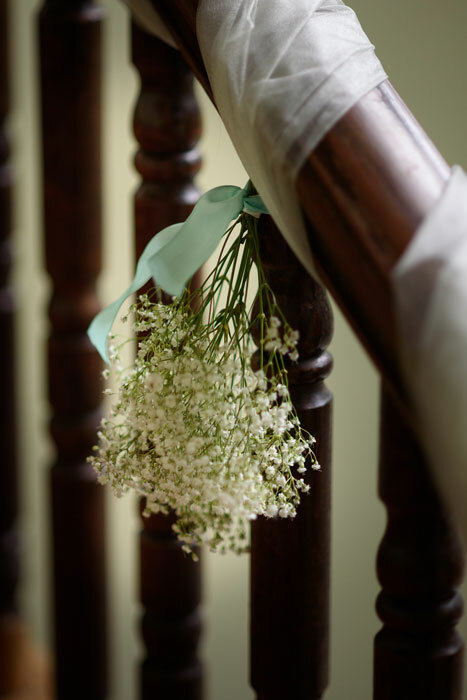 Firstly, with white against white, there’s a risk that your flowers won’t ‘pop’, that your bouquet will merge into your dress, or that the overall effect across the venue will look rather drab and dull. To avoid this, make sure you include different textures within the arrangements – for example, bubbly gypsophilia alongside smooth gerberas. Also, use a variety of shapes of bloom to create interest, like spikes of veronica amongst star shaped dahlias. Consider using carefully chosen foliage or a very soft feature colour (like silvery grey or creamy buttermilk tone) to help lift and accentuate the flowers. Another thing to ensure is that there is contrast between your flowers and decor. If you’ve got a dress with a large skirt of layered fluffy tulle, pair it with a simple bouquet of just one or two types of flowers, making them stand out from your outfit. 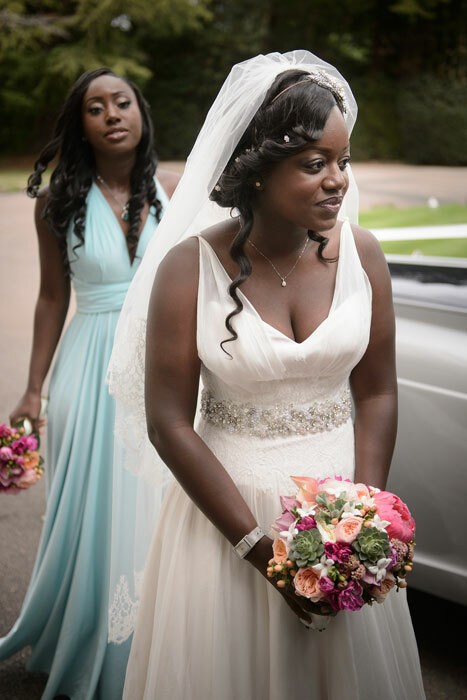 Or if your dress is a silky fitted fishtail dress, be a bit more detailed in the flowers you carry – it doesn’t have to be fussy, just a statement, such as including some sparkle amongst your favourite flowers. Planning an event with a strict colour scheme is tricky, but with the right focus and imagination, it can be very effective. When you’re planning your wedding, there’s a lot to learn. For many of us, this is the first (and only) time you’re going to do this, so it’s a steep learning curve with only one shot to get it right! Looking online and in magazines, and asking friends and family for their two-pennies worth, it’s clear there is a wealth of often contradicting advice on how it should be done. The flower department is no exception. The magazine might suggest reserving 10% of your budget for flowers and venue decor, the trendy DIY wedding blog might suggest popping to your local farmers market the day before your wedding and getting the girls together to create your floral decorations, or your cousin Sarah might tell you that her florist advised on seasonal flowers to help her modest budget go further. Traditionally, there are several girls and boys who would anticipate having flowers for their part in the day. I suppose it could be generalised as those who will be prominent in playing a roll in the service and seen in all the photos. The blushing bride of course, her bridesmaids, and flower girls all carry a bouquet of flowers. The groom, his best man (or men), and the ushers have a buttonhole – a single flower or small collection of flowers, worn on their left lapel. Often, the couple’s dads wear a buttonhole, and mums wear a corsage. Years ago, before table favours became a trend, each guest would receive a flower buttonhole at the church door as a gift of thanks for coming to the day. 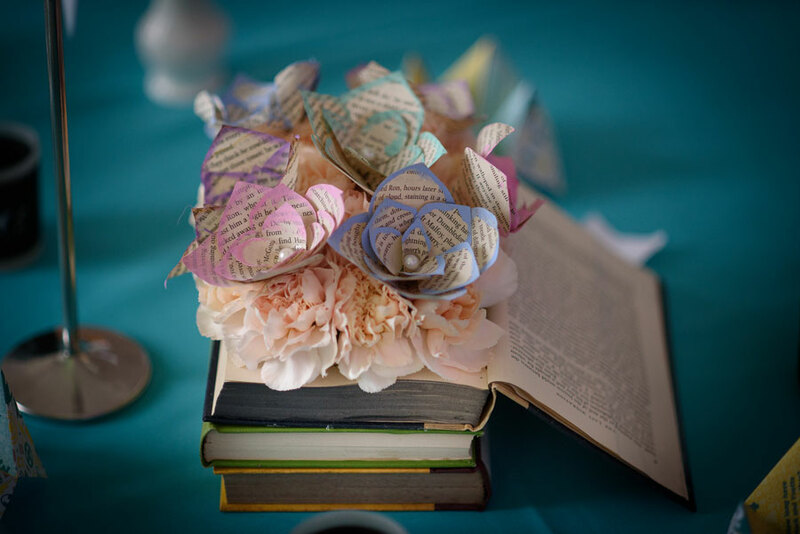 In modern times, as the wedding day itself has become more involved and intricate, with the provision of the wedding breakfast and evening buffet, dancing, drinks, and favours, it is less common to provide a flower for each person attending. Instead, if they’d like a floral adornment, they organise it for themselves. It really is up to you! The theme and style of your day will obviously play a part in your decision, as will your budget. Having looked at the hot trend for 2016 of Rose Quartz and Serenity, I thought I’d explore a few other themes you lovely brides might be inspired by. This time of year, it seems that all the talk is of romantic reds – nothing quite says ‘I love you’ like luxury velvety red roses, right? Red. It can be deep, moody and amorous. Or you can make it more mysterious, whimsical and rustic. It’s really up to you, and your overall vision for your special day. So, will it be the romance of the woodland? Perhaps love in more of a modern setting? Or go full-on opulent glamour – these arrangements ooze luxury, with grouped roses and draped jewels. 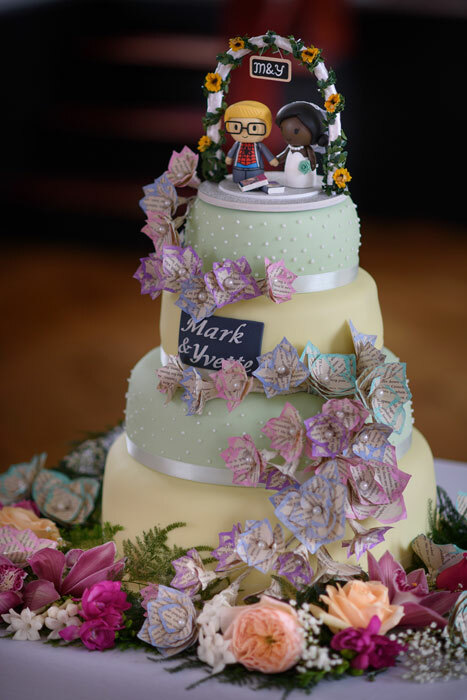 Back on August bank holiday, I provided the flowers for Mark and Yvette‘s vibrant, book themed wedding. At the time, I shared my poor attempt at photography with you. I’ve now received the official photos, and boy, do they look great! The happy couple are beaming, and the flowers certainly pop! All photography credit to Stephen Swain. What better way to start the week than sharing the beauty with you? You’re welcome. 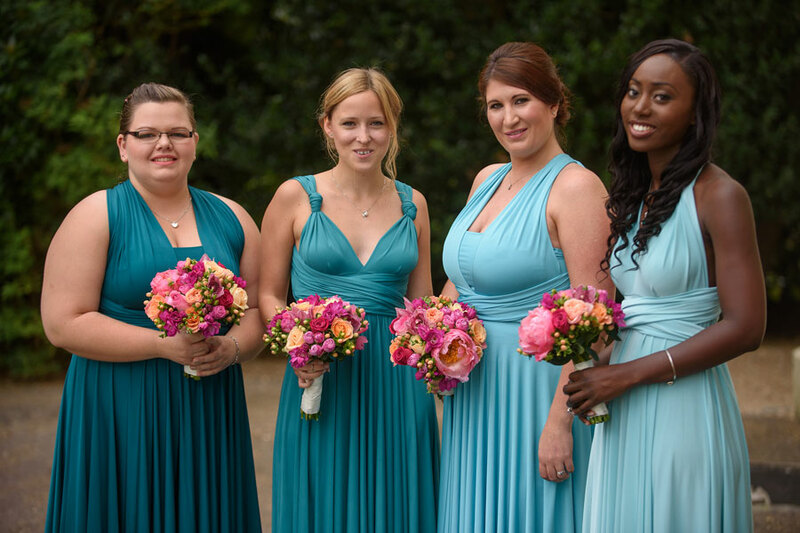 The gorgeous bridesmaids, the flowers contrasting beautifully with the teal dresses. So worth being brave and bold! It’s a real joy to be part of a couple’s special day. Susan and Craig’s day was no exception. Susan emailed me the very next day to express her thanks! 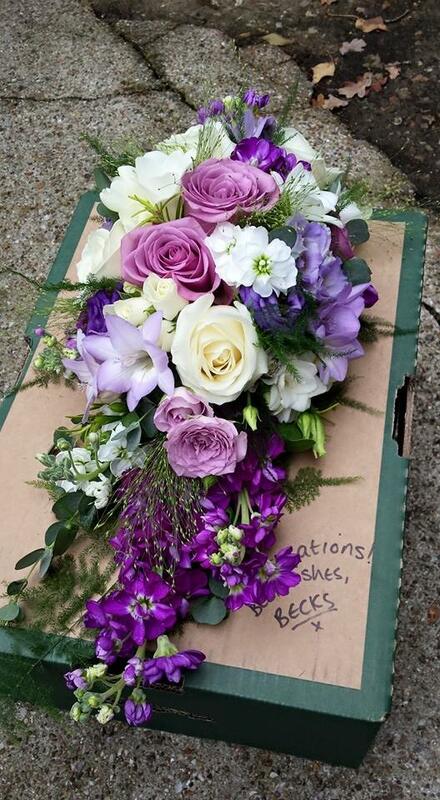 “I just wanted to thank you again for the absolutely gorgeous flowers for my wedding. You produced exactly what I had envisioned in my mind and the fragrance was beautiful. I was on cloud nine all day and loved holding my bouquet for all my photos and smelling the wonderful fragrance while we sat having our Wedding Breakfast. just look at those gorgeous colours and textures, and imagine the scent!